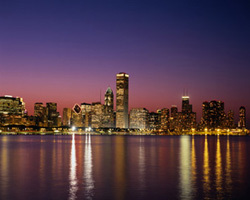 Formed in 1972, the Chicago law firm of Collins & Collins is comprised of highly skilled attorneys. An agile boutique law firm, Collins & Collins is able to provide clients with the proactive, efficient, and effective legal counsel they need to reach their goals. With over 75 years of combined experience, the partners at Collins & Collins have extensive practical experience and training in their respective practice areas. John Collins earned his undergraduate degree in accounting from the University of Illinois, and his law degree from the University of Chicago Law School. A former Assistant United States Attorney, John’s practice areas include business and commercial law, antitrust, non-profit law, healthcare law, real estate law, e-commerce, labor law, employment law, bankruptcy, restructuring, government relations, regulatory compliance, risk management, white collar crime defense, intellectual property, and torts. The Firm is committed to maintaining the close attorney-client relationships they have developed, which gives each client direct access and confidence that their case is being handled directly by an experienced Chicago lawyer. Contact Collins & Collins today to discuss your needs and goals. The Illinois litigation attorneys at the business law firm of Collins & Collins serve clients in Illinois and northwest Indiana, includingChicago' south suburbs and north shore, in communities such as Lake Forest, Oak Brook, and Hinsdale, and Cook, Lake, and DuPage counties. Collins & Collins provides sports law representation nationally and internationally.